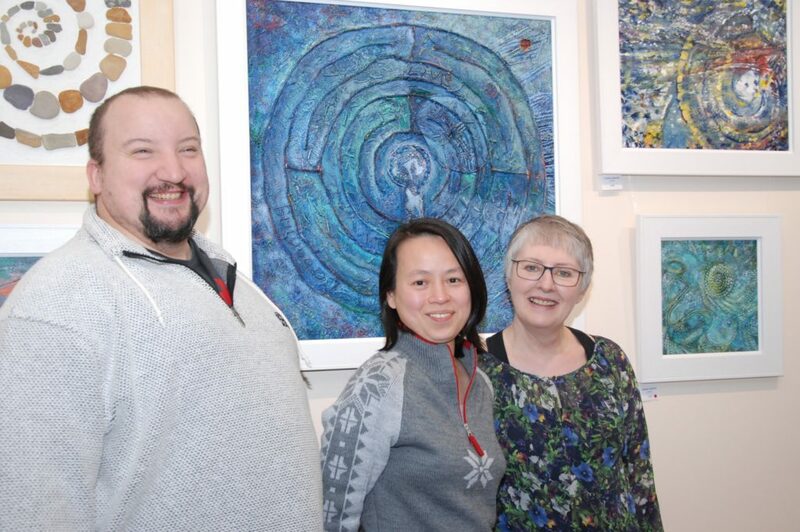 Mid Argyll’s Margaret Ker has a fascination for labyrinths and her artwork based on the mesmerising mazes is on show at the Dochas Carers’ Centre. 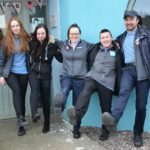 She was inspired to create the artworks after researching labyrinths in Canada and at home in Argyll, from rock art to purpose-built installations. But there is a difference between a maze and a labyrinth. 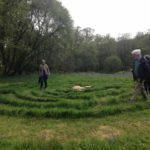 A maze, says Margaret, is a puzzle intended to amuse and confuse – a labyrinth has one single, visible path leading to the centre and out again. and family or quietly on your own. An exhibition of Margaret’s paintings on Labyrinths and Rock Art can be viewed at The Dochas Centre, Lochgilphead until early January.